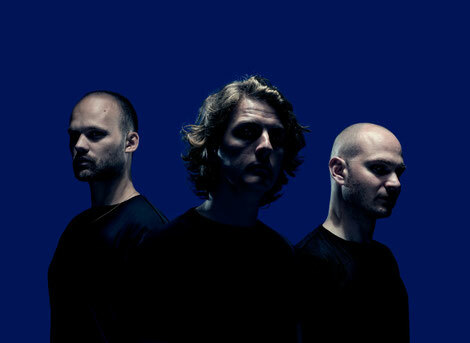 Dutch electronic music trio, Noisia, recently revealed the remixers for their forthcoming ‘Outer Edges Remixes’ album. Released on 7 April, the compilation brings together remixes of last summer’s ‘Outer Edges’ studio album from the likes of Bassnectar, Ivy Lab, Machinedrum, Amon Tobin, Camo & Krooked, Mat Zo, Dyro, The Upbeats, Mefjus, and more. Handpicked by Nik, Martijn, and Thijs, the artists range from across the electronic music spectrum, with many of the mixes taking the original versions outside of D&B entirely – something Noisia were keen to achieve with this project. Some tracks from ‘Outer Edges Remixes’ will be released individually via DSPs and streaming services towards 7 April, and Camo & Krooked’s mix of ‘The Entangled’ is available now. Last summer’s ‘Outer Edges’ album possibly became one of the standout artist releases of 2016, earning them three awards at the Drum and Bass Arena Awards (Best Producer, Best Album with 'Outer Edges' & best video with ‘Mantra’), ‘Best Album’ at the UK Drum And Bass Awards, and contributed towards them receiving the Beatport award for ‘Best-Selling Drum & Bass Artist’. After the launch at Czech Republic’s Let It Roll festival, the band headlined festivals including Sziget, Pukkelpop, Lowlands, and SW4, Tour highlights include apparently selling out their ‘Outer Edges’ shows in London (Electric Brixton) and Amsterdam (Melkweg) months in advance, and a recent headline show at Rampage, the biggest indoor bass music event in the world (capacity 15,000). Forthcoming Outer Edges shows include Paris’ Elysee Montmartre (17/3), Motion in Bristol (18/3), Le Bikini in Toulouse (24/3), Link in Bologna (25/5), Hospitality In The Dock in London (14/4), The Netherland’s ‘We Are Electric Weekender (17/6), Nass Festival in the UK (7/7), and more.